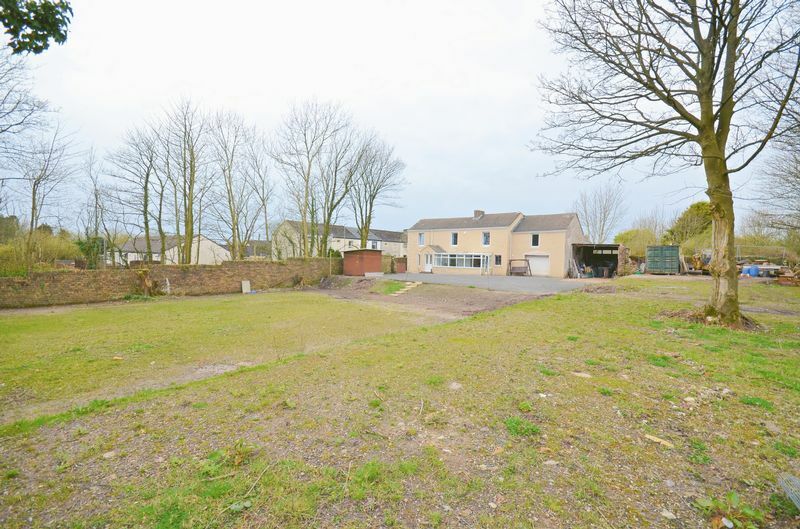 It is not often that the property comes to the market with such a large plot. 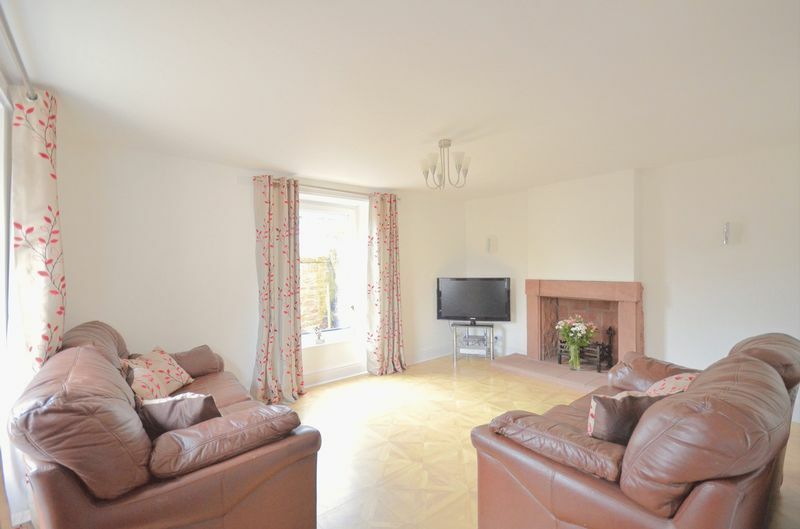 This spacious four double bedroom home is set in substantial grounds and is ideal for those who want lots of outside space perhaps for the family or maybe to run a business from. 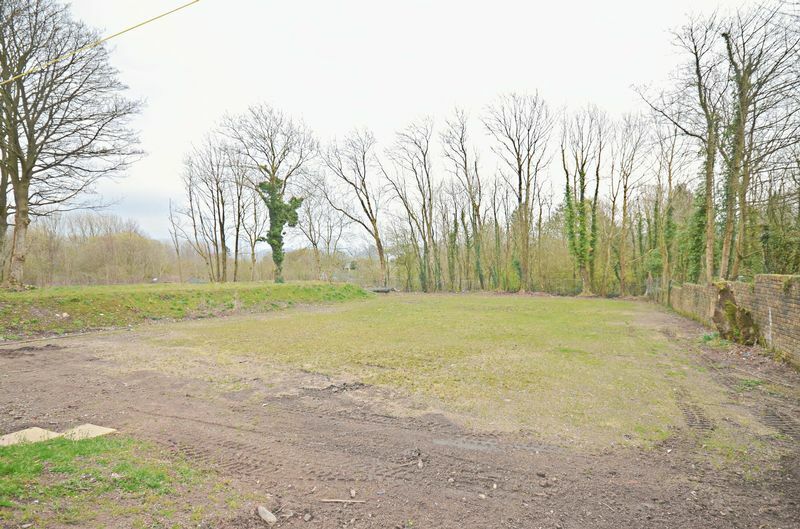 This could also attract the eye of a developer as there has previously been planning permission for an additional dwelling on the plot. The house itself is certainly spacious and has a porch, hallway, lounge, sitting room, large kitchen, separate utility room and a breakfast/sun room. 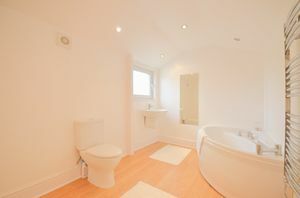 To the first floor there are four double bedrooms, one ensuite, a shower room and also a bathroom. 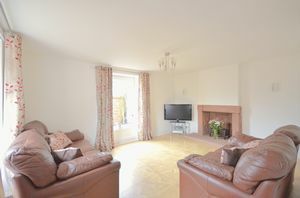 The property has been well kept by the current owners and has been finished to a high standard. 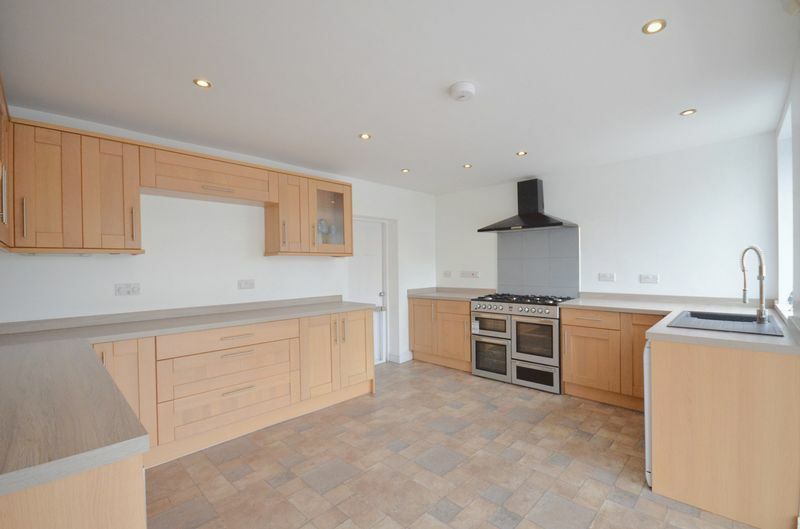 Externally there is a very large drive providing more than ample parking and there is also a garage. 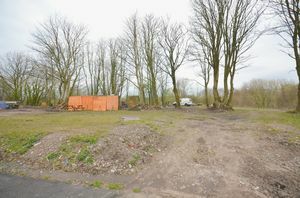 There is a lean too with permission to turn it into a single story garage. The garden is mainly laid to lawn with a variety of mature trees. 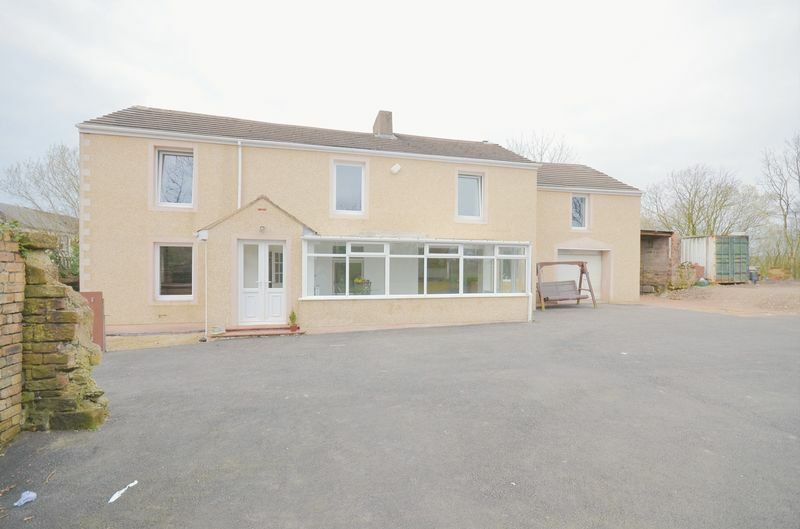 Anybody looking for a spacious family home set within large grounds with lots of potential should certainly book a viewing to fully appreciate what this property has to offer. The property is located a few minutes walk from Cleator Moor town centre with it shops and local amenities. 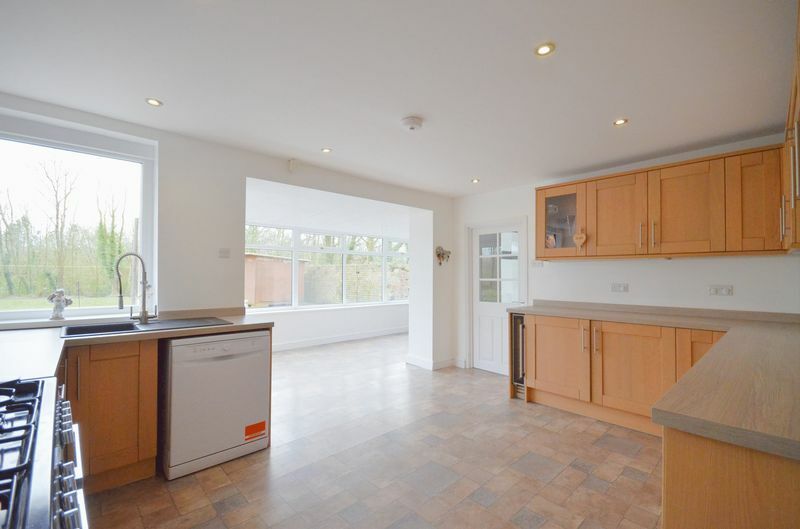 Entered through twin UPVC doors, the porch has laminate tile flooring, feature alcove and a UPVC double glazed window. Leads to a hallway. Laminate tile flooring, decorative coving and provides access to the lounge, the sitting room and stairs to the first floor landing. Light and airy room with the centrepiece being an eye-catching sandstone fireplace with wall mounted lighting either side of the chimney breast. 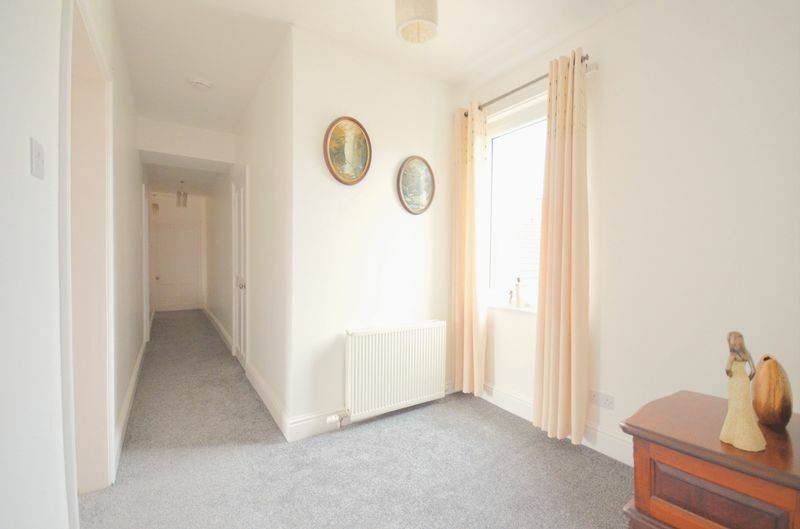 TV point, satellite points, under stairs storage cupboard, laminate tiled flooring, double panelled radiator and two large UPVC double glazed windows providing lots of natural light. A spacious and stylish modern kitchen incorporating a range of wall and base units with a complimentary worktop with matching up stands. Four door range cooker with a seven ring gas hob, tiled splash back and extractor canopy above. Sink with drainer board and designer mixer tap. Sunken ceiling spotlights, under cupboard lighting, integrated wine cooler and a UPVC double glazed window. Opens up to the breakfast room and also leads to the utility. This large utility room, bigger than many kitchens has base units, worktop and a ceramic sink 1.5 with drainer board and mixer tap. 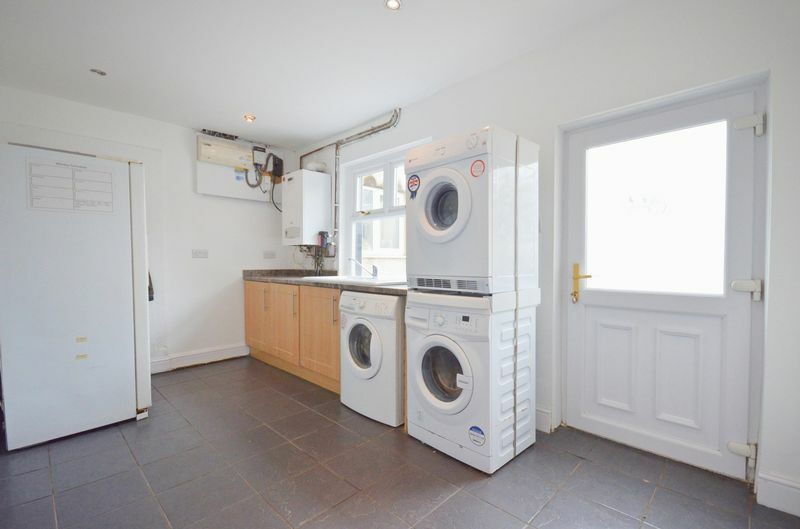 There is plumbing for a washing machine and plenty of space for a tumble dryer and fridge freezer. 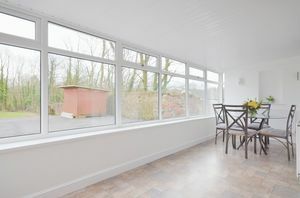 Sunken ceiling spotlights, tiled flooring, double panelled radiator, UPVC double glazed window and a door leads to the garage while a UPVC door leads out to the exterior. The utility also houses the Baxi Combi boiler. 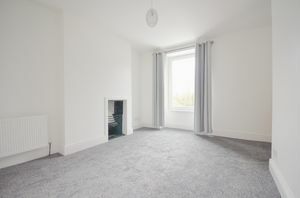 This versatile room makes an ideal breakfast room, dining room or could be used as a third reception room. There is a feature alcove with wall mounted lighting either side. 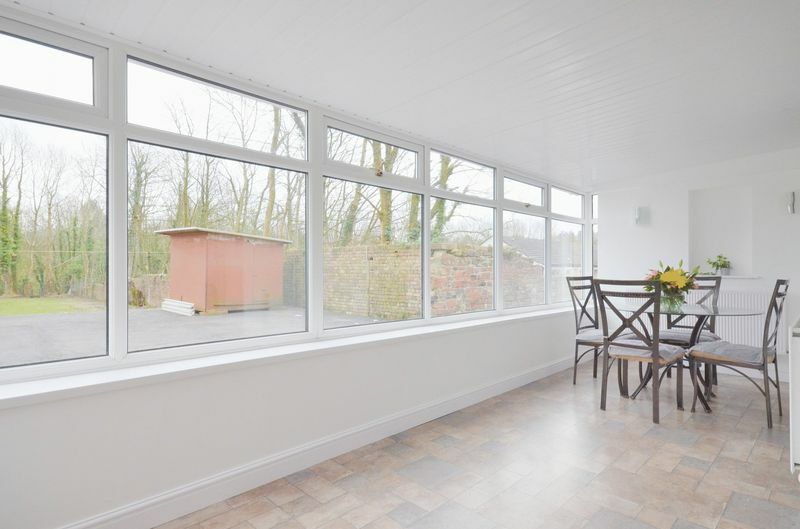 Two double panelled radiators provide plenty of warmth and there is a full wall of UPVC double glazed windows allowing in lots of natural light and a fully glazed UPVC door leads out to the front. 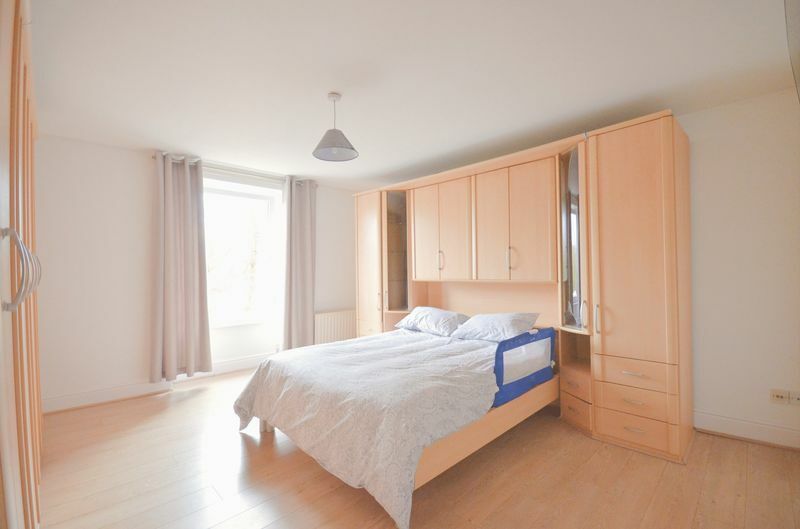 The landing has a built-in cupboard, double panelled radiator, power points and a UPVC double glazed window. An area of the landing opens out to provide a space which could be used as a home office area. 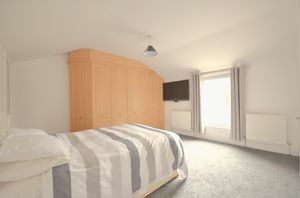 The landing leads to all bedrooms, shower room and the bathroom. 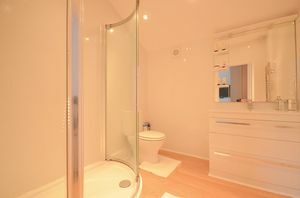 Lovely ensuite comprising of a P shape shower cubicle with sliding glass door and a Triton shower. Large washbasin with mixer tap over a vanity unit with mirror and lighting above. 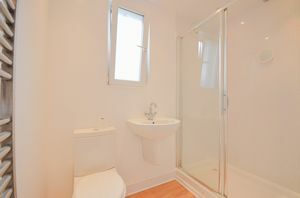 WC, chrome heated towel rail, laminate flooring, part tiled walls, extractor and sunken ceiling spotlights. 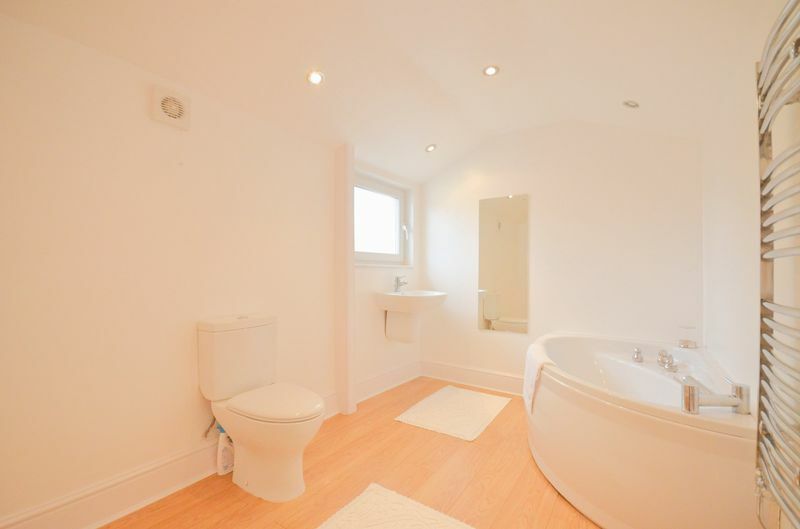 Corner bath with mixer tap. Wall hung hand wash basin with mixer tap. 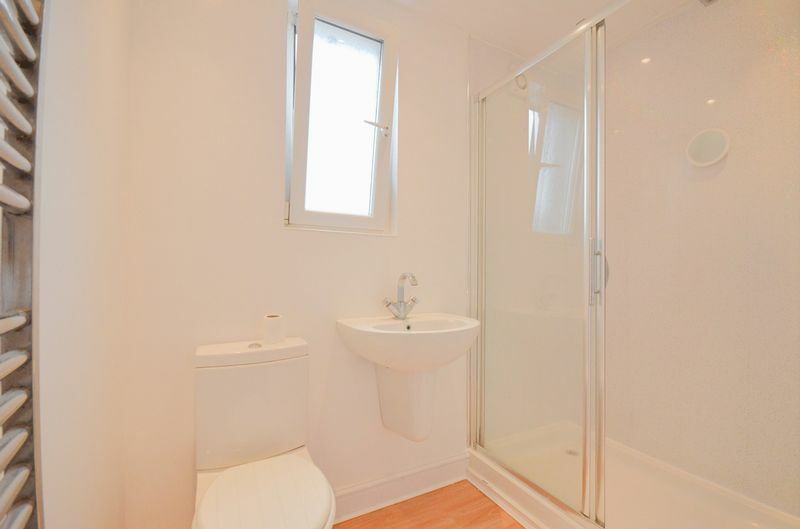 WC, chrome heated towel rail, sunken ceiling spotlights, extractor and a UPVC double glazed frosted window. Spacious double bedroom with laminate flooring, double panelled radiator, phone point and a UPVC double glazed window. Shower cubicle with both monsoon and handheld shower heads. Wall hung hand wash basin with mixer tap. 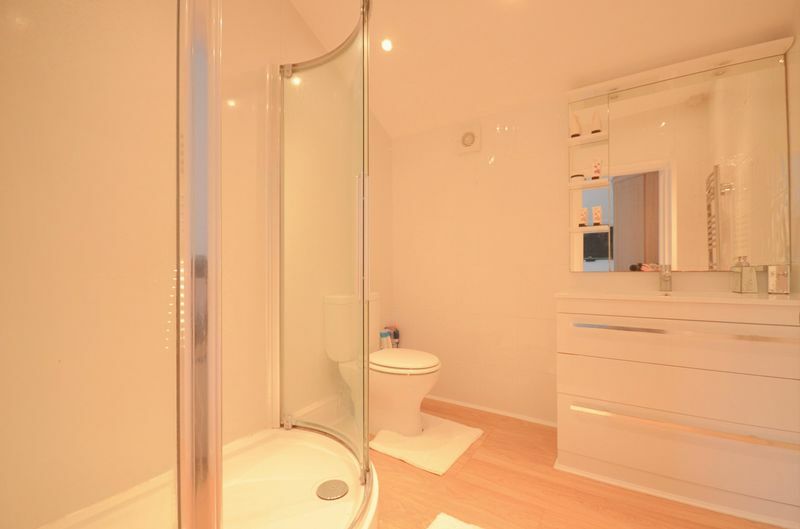 WC, chrome heated towel rail, sunken ceiling spotlights, extractor and a UPVC double glazed frosted window. 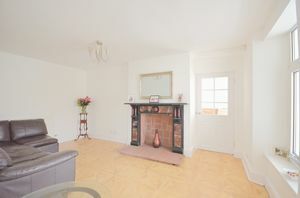 Double bedroom with a an original cast-iron fireplace. TV point double panel radiator and a UPVC double glazed window. 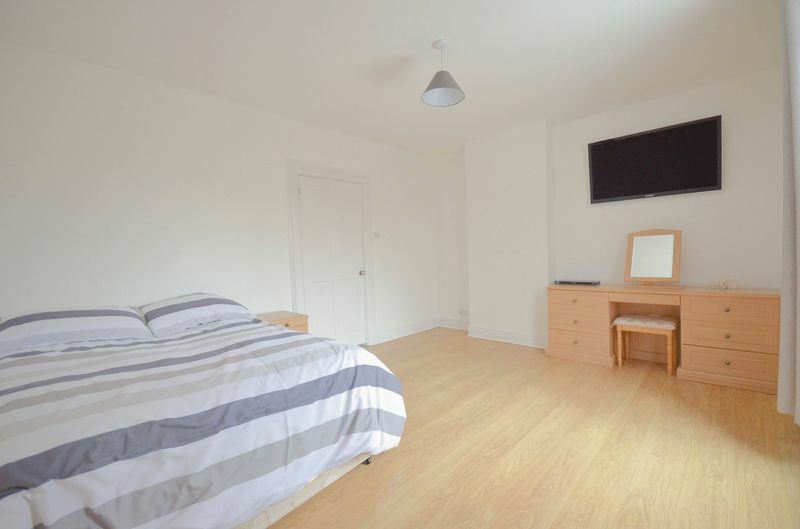 A very large double bedroom with laminate flooring, TV point, satellite point, two double panelled radiators and a UPVC double glazed window. The garage has lighting, WC, power points and an electric roller door. To the front the property boasts a substantial, gated drive providing more than ample parking. 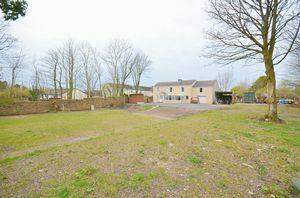 There is currently a large lean to which has planning permission to be converted into a two-storey garage. The grounds of the property are mainly laid to lawn and have a variety of mature trees. 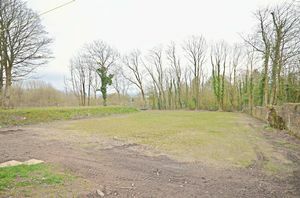 In front of the property on the drive there is lapsed planning permission for a single dwelling. It may be possible to have this reinstated for this or potentially additional dwellings if desired. 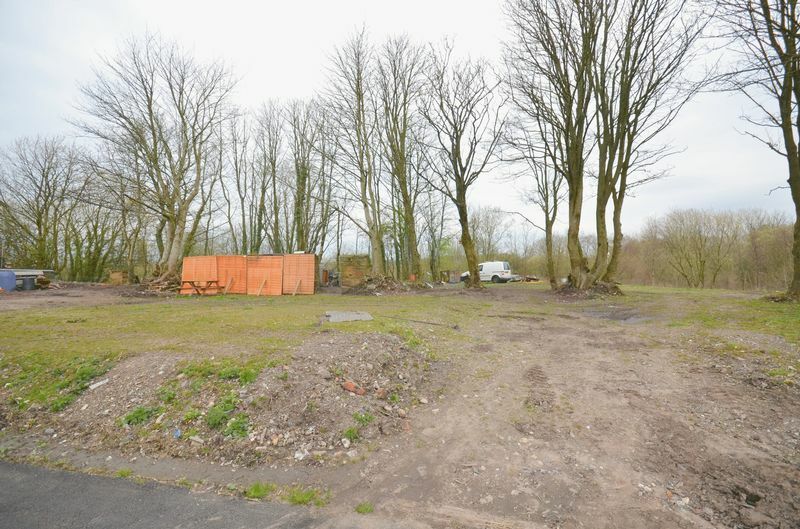 We have been informed by the vendor the property is freehold.